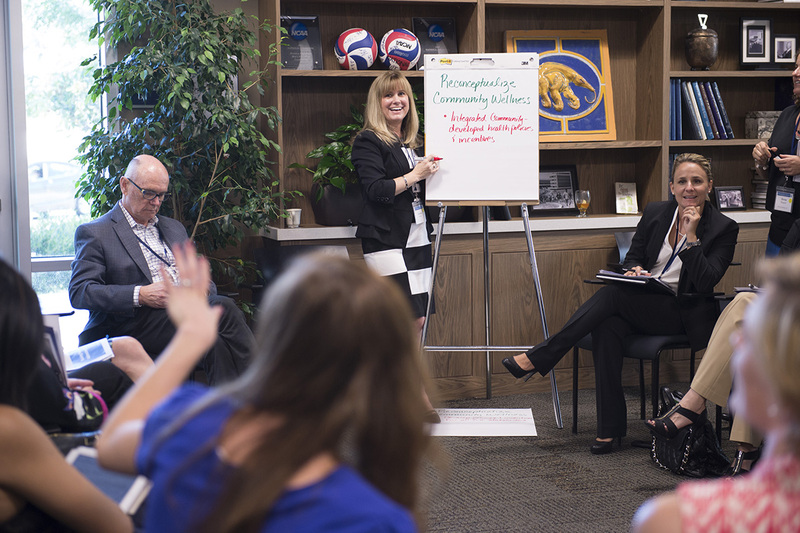 On October 1, UCI and Orange County United Way co-hosted the first OC Working Together summit, a collaborative campaign to help the county’s least fortunate. More than 200 participants gathered for the daylong summit, including UCI faculty and graduate students, chief executives from Orange County’s leading nonprofits, and city and county officials. Freedom Writers Foundation founder and Erin Gruwell ’91 delivered a passionate keynote presentation on her experience as a teacher working for underprivileged students and her transition into establishing her nonprofit organization. 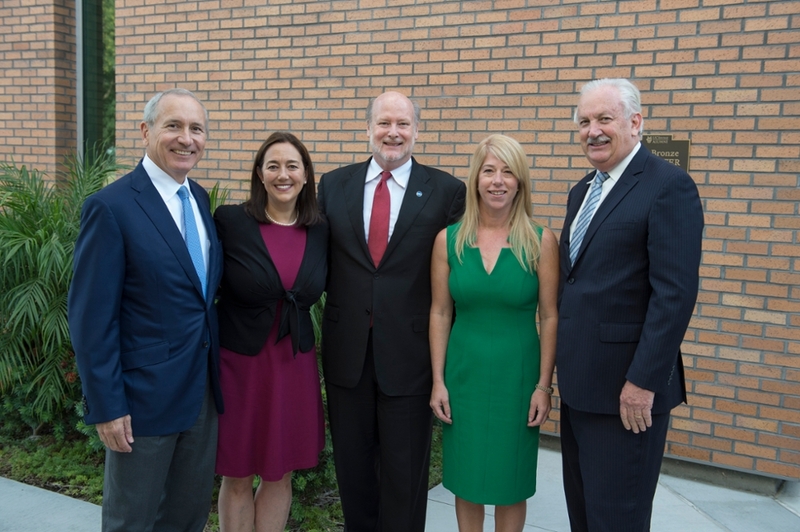 Left to right: Orange County United Way President Max Gardner, Freedom Writers Founder Erin Gruwell, Chancellor Howard Gillman, Project Hope Alliance CEO Jennifer Friend and National Community Renaissance (National CORE) Executive Vice President Michael Ruane. Photos by Steve Zylius, UCI Communications. 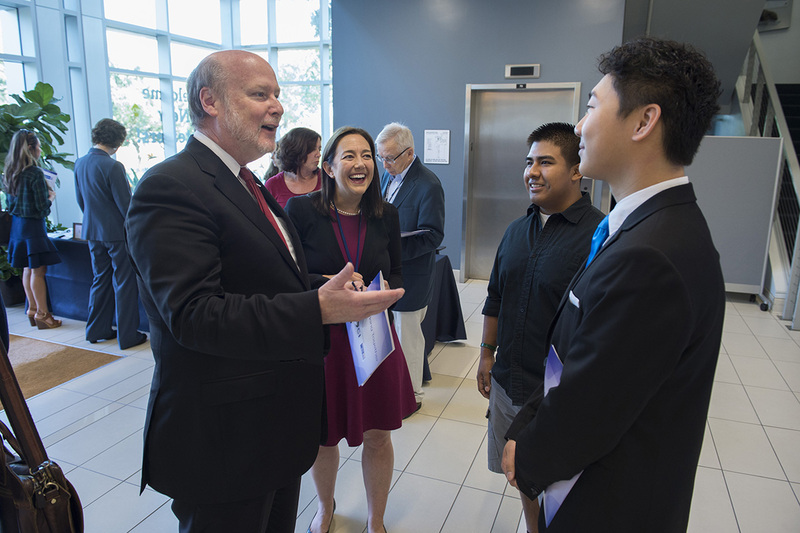 Chancellor Howard Gillman, left, speaks with UCI alumna Erin Gruwell '91 and her Freedom Writers students. 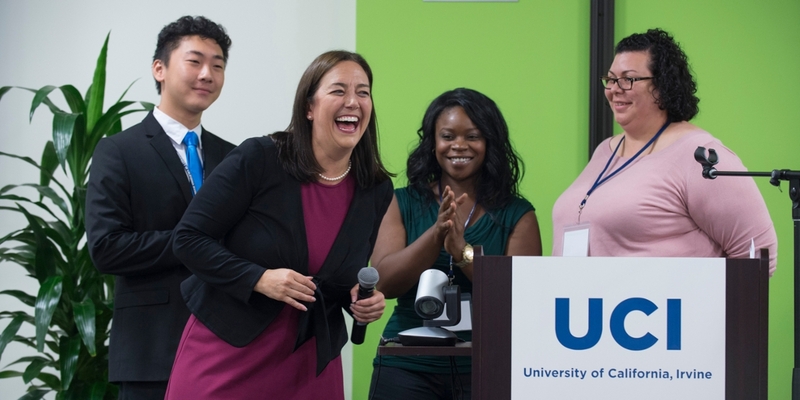 UCI alumna Erin Gruwell (second from left), keynote speaker at the OC Working Together summit, was joined on stage by her Freedom Writers students. Deena Margolis facilitated the breakout session regarding Raising Healthy Families.